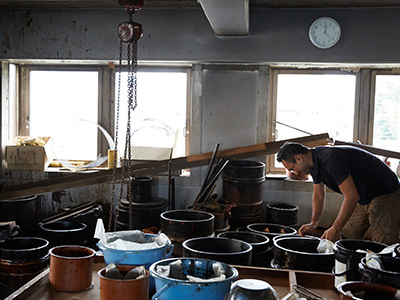 Sato Kiyomatsu Shoten have manufactured and sold Japanese lacquers, Urushi in Kyoto since 1921. 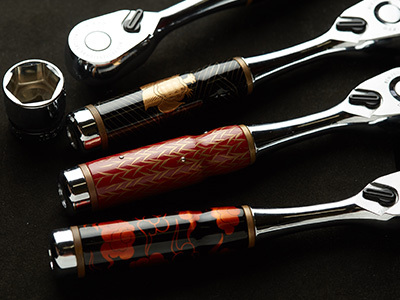 We have played a role in supporting Japanese traditional industries by offering them a variety of Urushi suited for their diverse needs. By studying and making improvements to Japanese lacquer and introducing it to new markets we strive to serve and promote the Japanese lacquer art industry. 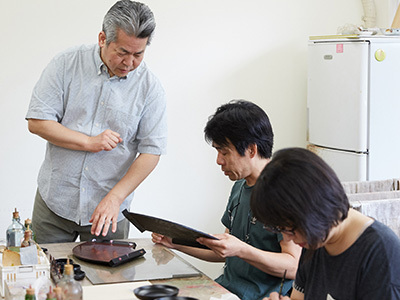 We also engage in offer activities including art classes to make Urushi more familiar. We deal with equipment and materials for screen printing developed from Kyoto’s traditional fabric dyeing technique as well. 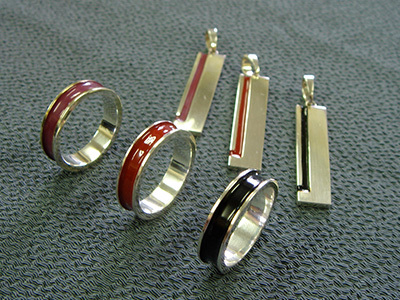 We developed a lacquer with a very low irritation threshold, as well as a quick drying lacquer. 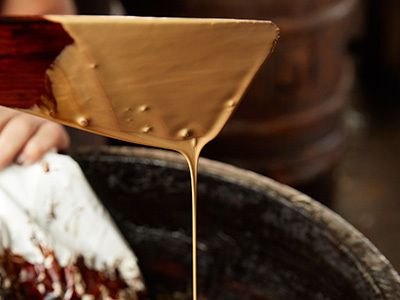 While manufacturing our traditional refining methods with technology cultivated since our founding we developed a proprietary technique called MR Urushi. *"MR Urushi" is a registered trademark of Sato Kiyoshimatsu Shoten. We offer Urushi training classes where you can learn techniques of various Urushi applications,　such as Kintsugi, repairing broken pottery using Urushi covered with gold, and other techniques are being held in our company. Classes are available for anyone who wants to learn Urushi techniques just for fun or as a workshop for students. 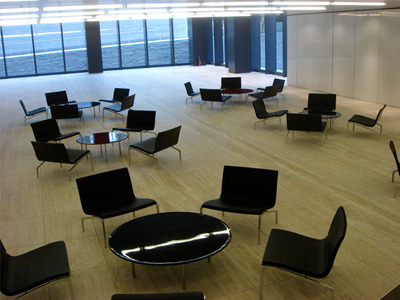 Technical guidance to the experts in the field of architecture, painting and woodworking is also available. We are actively holding workshops, lectures and demonstrations in and out of Japan. 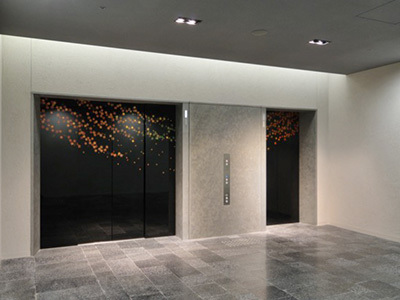 Urushi painting and Maki-e, painting Urushi and covering gold or silver powder for decoration, processing on elevators, art panels, counters, furniture and flooring are some of the things we can do with Urushi. With coating technology on glass, metal and various kinds of resin, we can offer many different varieties of usage of Urushi and design. We also accept requests for product development and OEM utilizing lacquer painting and lacquer technology in new fields.